ZTE Nubia Z11 Mini S launched in India with amazing Camera quality in Just Rs. 16,999! ZTE is making its substantial impact on Indian market by releasing various new models which are not only amazingly feature packed but comes under reasonable price. ZTE launched its Nubia series which gave tough competition to Xiaomi Redmi. 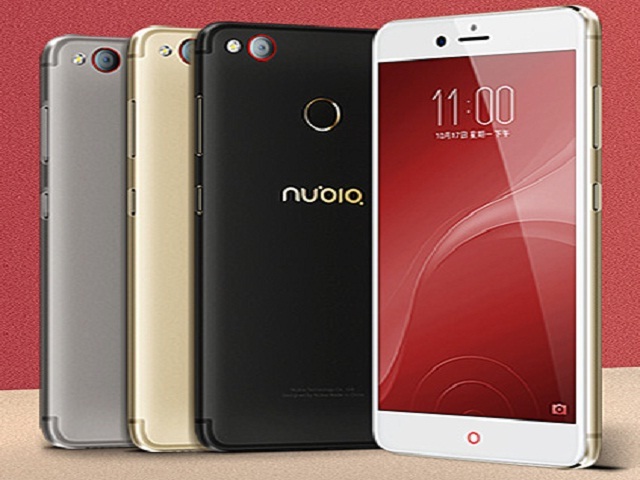 ZTE Nubia Z11 has already received great response from users and gain ZTE is back with its new series in Nubia Z series. ZTE has launched ZTE Nubia Z11 Mini S in India this week. ZTE Nubia Z11 Mini S has improved its body design to a grant extent. It has all metal and glass body look which can be flipped from the back. There are only slightest plastic gaps on the antenna areas. The overall body of Nubia Z11 Mini S looks a lot closer to iPhone. The features of the phone are something worth to look out. ZTE is growing so rapidly that it has become fourth Chinese Company in China. ZTE Nubia Z11 Mini S will be on sale on Amazon. Display- With a 5.2 inches display having HD Capacitive touchscreen, and 1920 x 1080 pixels with Corning Gorilla Glass display makes the phone something to look out for in ZTE Nubia Z11 Mini S.
Connectivity- Wi-Fi 802.11 b/g/n, Wi-Fi Direct, Hotspot and Bluetooth feature gives you superfast connectivity to the internet. Memory- Octa-Core processor and memory of card slot of 200 GB(used in 2 SIMs) and internal memory expandable up to 64 GB and 4 GB RAM, you have more space to store your contents. Camera- A Front camera of 13 MP, f/2.2, phase detection autofocus, LED flash and Rear Camera consisting of 23 MP, f/2.2 and 1080p video streaming at 30fps, gives you a perfect choice for selfies, photos, and videos. Price In India– Price of ZTE Nubia Z11 Mini S is 16,999 INR. Battery- A nonremovable Li-Ion battery of 3000 mAh installed in ZTE Nubia Z11 Mini S.